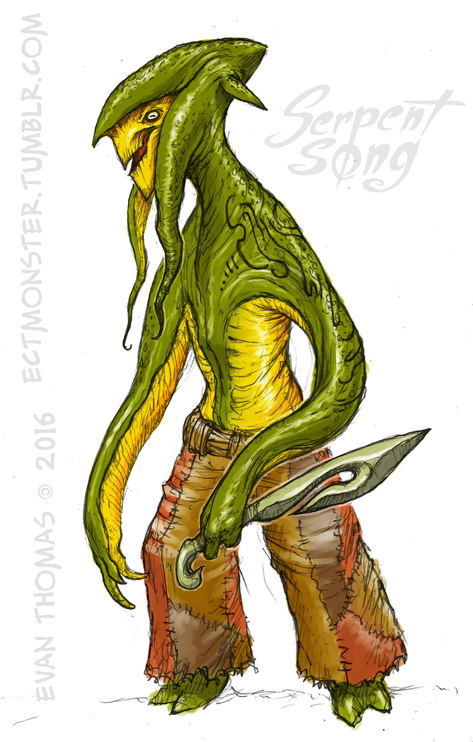 The Gohm are a race descended from squid that have acclimated themselves to live fully on land. They are unusual boneless creatures that make their homes in forests and jungles. They are often referred to as soft-folk, or derogatorily, noodles. Like their squid ancestors, the Gohm have no bones, but instead a powerful frame of cartilage. 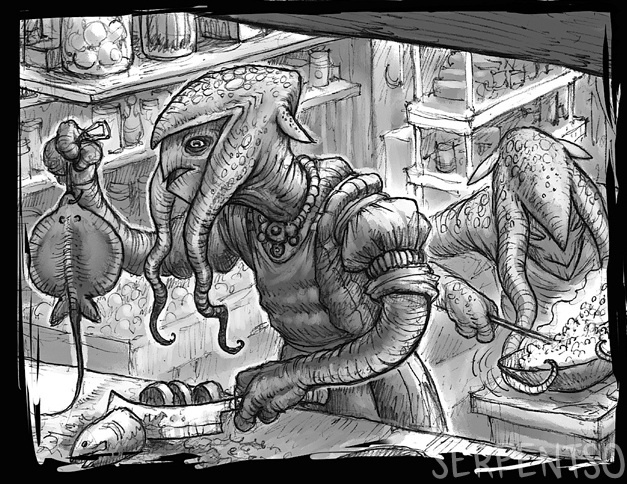 Their limbs are muscled and tentacular, and they possess a sharp beak for slicing their food. They’ve also retained the chromatophores of their ancestors, allowing them to change the color of their skin to match their surroundings. Gohm are hermaphroditic and have difficulty understanding the nature of different sexes among other races. They often fail to use pronouns distinguishing genders because of their unfamiliarity with the concept. Though they can speak normally, the Gohm language is essentially impossible for other races to learn, as it requires their color-changing abilities and visual cues made with their facial tentacles. Some Gohm still prefer to communicate solely through color. Because of their dexterity and strength, the Gohm can be formidable fighters, though their bodies lack any kind of armor to protect them. 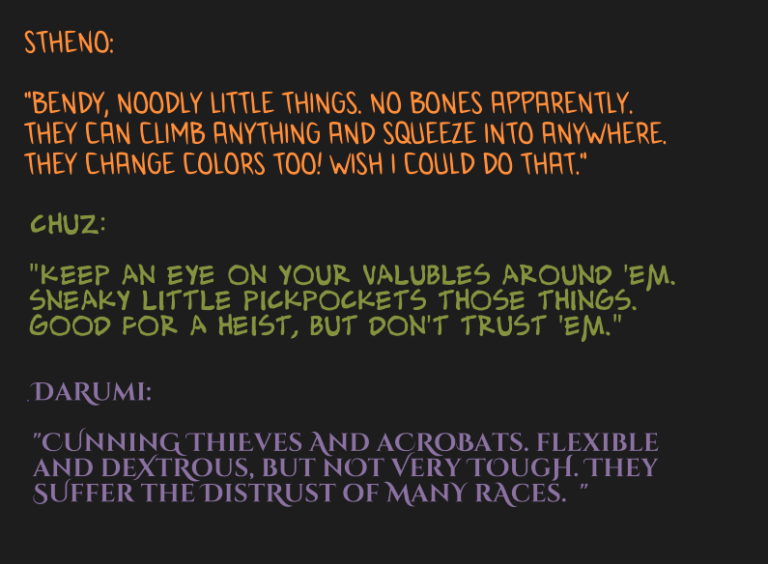 Their nimbleness and flexibility makes them adept pickpockets, and some races stereotype them as thieves. They are excellent climbers and acrobats, often being quite at home in the trees. The Gohm are hated bitterly by the Luhabra because there is no roost they cannot reach. Inversely, the Gohm carry a resentment towards the Ulukh, whom they often clash with over territory. Gohm also make very talented arcanists, and the gift is highly revered among their kind. “A person Of Few Colors”: used when describing someone narrow-minded or unpleasant.